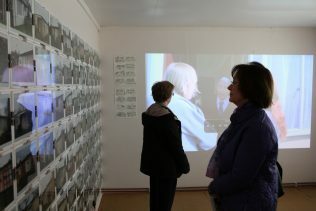 The Prefab Museum was inspired by photo-journalist Elisabeth Blanchet’s passion for and documentation of post-war prefabs and their residents in the UK since 2002. 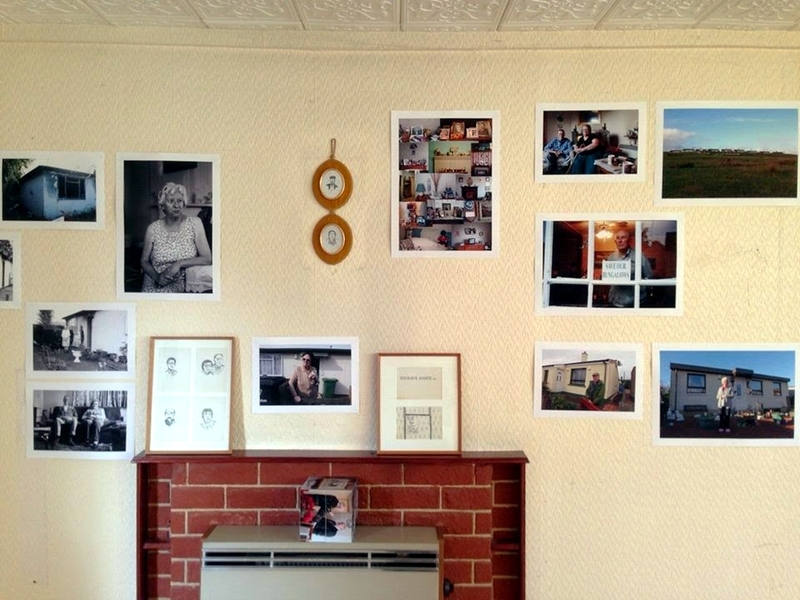 Elisabeth began by documenting prefabs in Peckham, south London, and then all over the UK. An exhibition in 2013 at Photofusion in Brixton, accompanied by walking tours and archive tea parties, culminated in the creation of an Arts Council funded temporary museum for the month of March 2014. The museum was sited in a vacant prefab on Excalibur, at that time the largest estate of prefabs remaining in the UK, in Catford, south London. 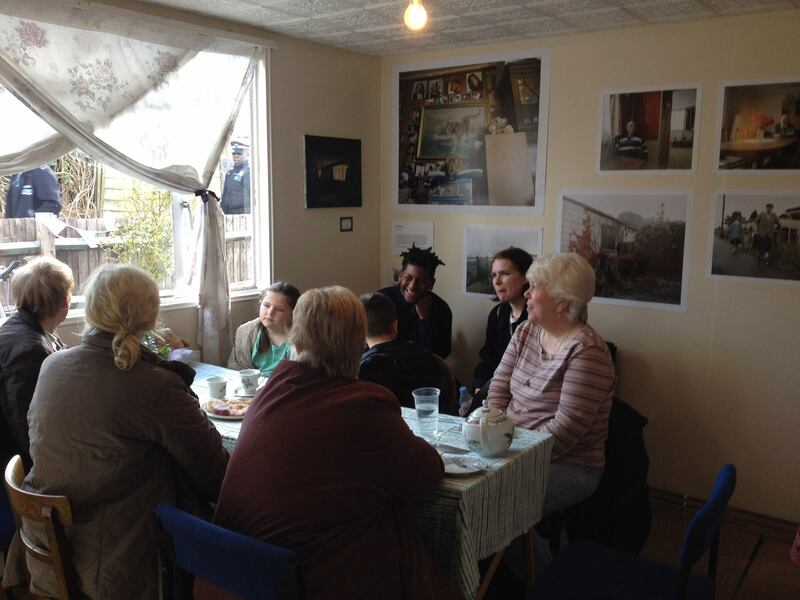 Together with community development worker Jane Hearn, who had documented the prefabs and lives of residents on the estate as part of several community projects, The Prefab Museum partnership was formed. The Prefab Museum was so popular during the first month that Elisabeth and Jane extended it, relying on visitor donations, volunteers and goodwill to keep it going. During the museum’s seven months’ residency from March – October 2014 we ran a programme of activities and events. Volunteers came from the estate community, exhibiting artists, and people who offered to volunteer following a guided tour or visit. Elisabeth and Jane worked with local community groups and schools, and were visited by history and reminiscence societies and interest groups from across the UK. The Prefab Museum was featured in Open House London and in total over 4,000 visitors came to the museum between March and October 2014. 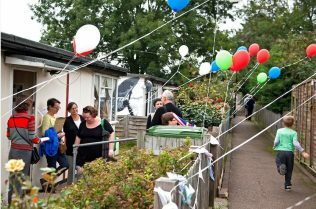 In May 2016 we were fortunate to be awarded support for our project The Moving Prefab Museum and Archive from the Heritage Lottery Fund. You can read about our adventures on our blog posts, taking the Moving Prefab Museum across the UK and collecting, recording and documenting the prefabs archive, telling the story of post-war prefabs. Welcome to the prefabulous world of post-war prefabs! We hope you enjoy our website, and reading our blog posts. As new information comes in, we regularly update the site. Elisabeth resigned from the Prefab Museum in February to pursue her love of all things prefab in France, where she lives. Thanks to Elisabeth for her work in bringing post-war prefabs to national attention and we wish her luck in the future. hi I lived in a prefab in northolt till 1966 , I have cooker ,baby belling fire that used to heat my freezing room ,n a cabinet mum has kept . I’m lookin to donate them to a museum for her x I see a prefab in Chiltern museum but would love them to go to somewhere good that can show folks . Hi! I’m at work looking at your blog from my new iphone. Just would like to say I enjoyed reading through your post and look forward to all your blogs! Keep up the good work! I don’t think I’ve never read anything like this before. So nice to find someone with some original thoughts on this subject. I really thank you for beginning it. This website is one thing tha78#&21t;s wanted on the internet, someone with a little bit originality. 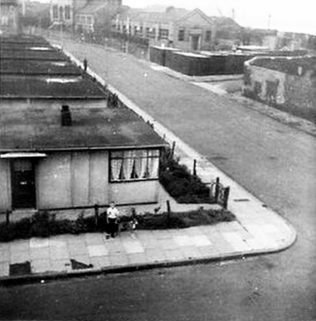 My family, mother, father and 3 children, lived in a prefab ‘Longton Terrace, Sydenham, London, SE26.” I don’t know when they were built but I lived there from my birth in July 1948 until they demolished in or around 1962. We were obviously built on a bomb site as we still had the remains of a bomb site on both sides of the road, which were our favourite play areas. The gardens of the bombed houses still had lots of fruit trees and bushes and some flowering plants. We also used to use the road for rounders, fag cards and marbles as well as hopscotch on the pavement as there was so little traffic on that road at the time. I am still in touch with others who lived in the prefabs and we still share lots of happy childhood memories of that time. Going from your photographs, I believe it was a Uni-Seco Mk2. Do you have floor plans for this type of prefab?